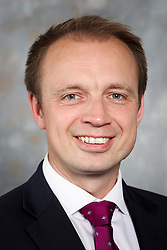 Councillor Darren Paffey was a ward Councillor for Peartree from 2011 to 2015 and is now a ward Councillor for Bargate. He has policy interests in education, skills development, children’s safeguarding and seeing public, private and voluntary sectors cooperate to tackle inequalities. Born in the north-east but later raised in Hampshire, he came to Southampton 13 years ago where he is now married and has two young children. He works as a Spanish Lecturer at the University of Southampton, conducting research into political media discourse, and working in Latin America to establish student exchange and research links. Councillor Paffey recently led the formation of the Southampton Fairness Commission, a strategic group of senior influencers, exploring how to make the City a fairer place to live and work and seeking to engage public, private and voluntary sectors to reduce local inequalities.